Today started out with me fixing pancakes, eggs, oatmeal, and grits … a breakfast fit for kings. It smelled and looked very tasty, but I had to settle for stale chips and trail mix because the hostel was full of hungry hikers and cyclists. Once breakfast was over and all accounts were settled it was time for shuttles and then a run !! 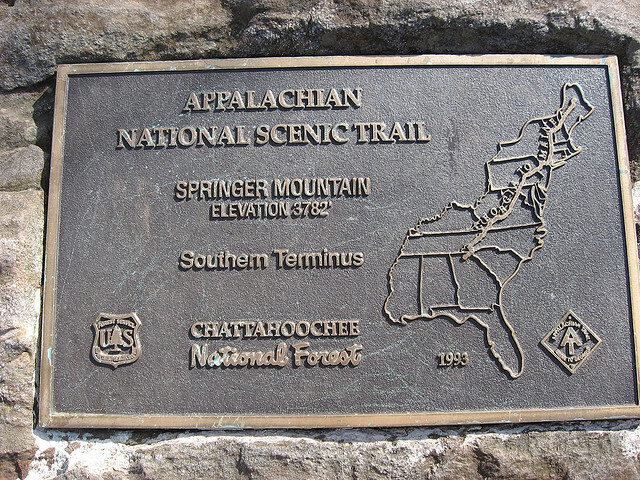 I dropped off two brothers that were hiking their last section of the Georgia AT at Springer Mountain parking lot, shoved a couple GU’s in my pocket, grabbed my water bottle, turned on my Ipod, and headed north on the AT. In about a mile I veered off onto the Benton MacKaye trail and followed it down to three forks. Three forks is a beautiful spot full of rhododendrons, hemlock trees, and a peaceful stream cascading down through the rocks.